This beautiful house was featured in the New York Times and the International Herald Tribune. In the historic centro area, shops, restaurants and much more within walking distance; the Jardin a 7 minute walk away. The house is full of art, antiques, 7 fireplaces, with 3 master bedrooms with adjoining baths and 1/2 bath. Plus an additional bedroom and bath for overflow. Enclosed garage, full staff of 5 day a week housekeeper and gardener. Fully equipped kitchen and floral terraces with views galore of the mountains in the distance and famous churches around. See website on my Homepage. I have restored many historic houses and this is the best one I have ever owned. 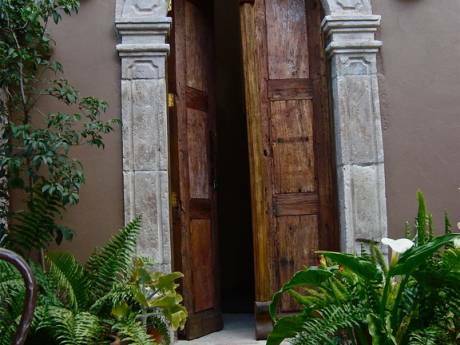 As a previous owner of an art gallery in San Miguel, the art in the house is a product of showing Mexican and Cuban artists over the years in the Galleria Aurora. Friends and family have enjoyed the house for many years. 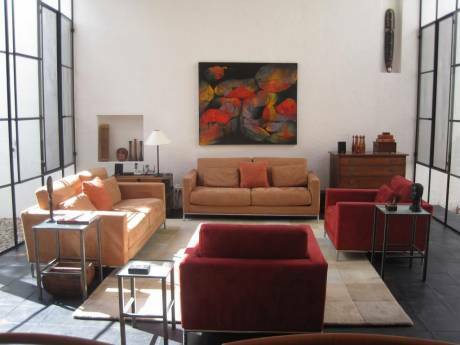 Located in a charming residential, quiet neighborhood, near Juarez Park and the Jardin. Basic shopping steps away at local bodegas and many other shops within walking distance. 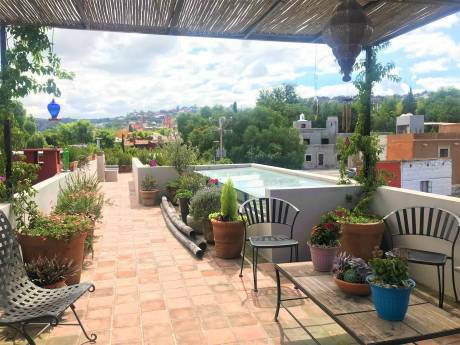 Considered to be in one of the best locations in San Miguel.